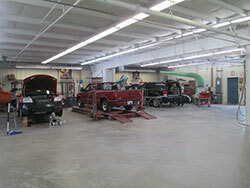 At Parmentier Auto Body, Inc., we have the tools and know-how to get your vehicle looking and running like new again. Whether your car needs collision repair, a paint job or detailing, we will get the job done in a fair amount of time so you can get back to the important things in your life. We are well known for our meticulous attention to detail. Free estimates – No appointment necessary during the week from 8:00 am- 5:00 pm. Saturdays are by appointment only. 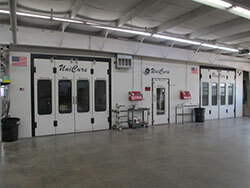 Sheet metal repair – Our technicians still know the art of sheet metal repair. This usually makes a better repair at a lower cost. No matter if you're a fleet management company or an individual looking for an auto body repair shop you can count on to get you back on the road, call us at 636-239-6240 today! 369 W. W. Industrial Park Dr.